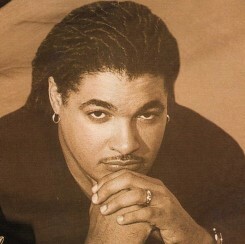 Georges Alan Cavé is an American of Haitian descent who is a Compas and Zouk singer and the leader of the group Zin. He was born on February 27, in Brooklyn, New York but spent most of his adolescent years in Haiti. He toured with his father, Syto Cavé (Poet and Author), all over the French Antilles, France and Canada. In 1987, he met with Alex Abellard and Eddy Saint-Vil to audition for the group Zin. Alex concluded that he could not have that voice against his band, so he quickly signed Alan Cavé. The group ZIN released their first album, "O Pa", in 1989 and remained together for over 15 years. Cavé wanted to pursue a solo career with a different sound and style of music from the one that he and ZIN developed, so after 20 years, the group ZIN went their separate ways. Alan Cavé continues to produce and perform throughout the USA, France, Antilles Islands and Africa. He continuous to have a very successful solo career and to date he has released 5 solo albums.